Did you know sunrooms ensure you receive efficient amounts of vitamin D? What about how it relieves SAD symptoms? 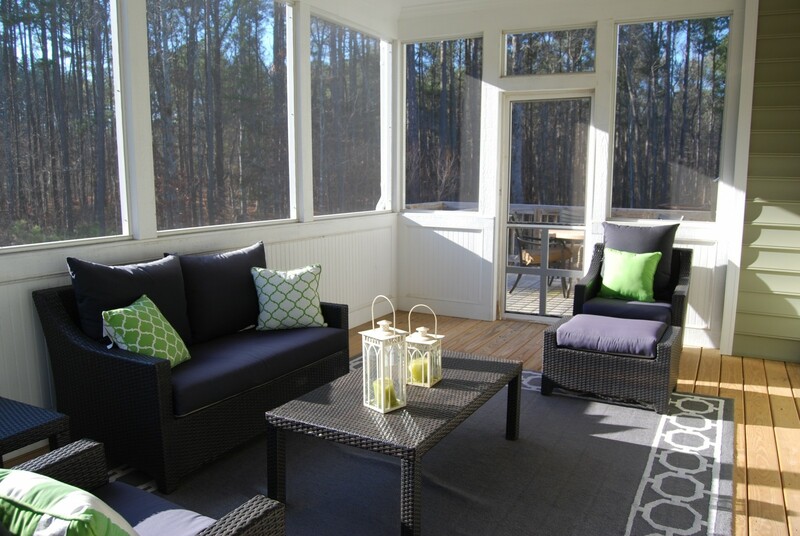 Read on to find out more about the benefits of having a sunroom. These range from getting an adequate dose of vitamin D to boosting your mood. In addition to experiencing nature in the comforts of your own home! A lot of people complain that they don’t get out much. They often don’t have time. Juggling kids, a career, chores, friends, family, and projects, we can’t blame you. Which is why a sun room is a perfect addition to your house. Because you get to enjoy nature all while cozying up on the couch. You can see the birds flying by the windows. And see the trees rustle. All of this while eating breakfast in the morning. Also, let’s face it. Human beings aren’t meant to stay in closed-in, concrete structures for 8-10 hours a day. We originated and primarily lived in nature. It’s no wonder our bodies crave it. In fact, studies show that we feel better when we’re out in nature. We can get some of those feel-good benefits by being in a sun room. Plus, our kids can enjoy those benefits without being forced to go outside. Only 10% of American teenagers spend some time outside every day. We can even take this nature concept a step further. Bring plants into the sunroom (also known as solarium). In fact, this Psychology Today article states that indoor plants can not only boost your mood but improve productivity as well. Combine that with the positive nature affects explained earlier, and you’re bound to be more positive! Just one word about indoor plants in your solarium. Make sure the furniture and floors are moisture-resistant. That way, you don’t have to worry about water damage or mold. Which is usually a result of water damage if left untreated. Converting your living room into a sunroom will make that space appear larger. With the amount of light filtering through the windows, that room will look bigger. Think about it. Why do stores incorporate windows and mirrors? Again, it’s to create the illusion of more space. A sunroom will make your house look sophisticated. Add some staged furniture to it. And you’ll be making a better first impression on buyers. According to this survey, more buyers could imagine the house as theirs in the future if it was staged. So, if you’re selling your house, consider placing some staged furniture to your solarium. If you don’t know, you can only get natural vitamin D by the sun. This is possible because the sun converts the cholesterol on your skin to calciol. Calciol is another name for vitamin D3. That said, this article recommends spending roughly 5-10 minutes two to three times per week in direct sunlight. That way, your body will have an efficient amount of vitamin D.
Unfortunately, vitamin D only lasts in the body for two weeks, which means you have to keep that regimen up. Luckily for you, you only need to spend some time in the solarium. Natural light is easier on your eyes than artificial light, which normally causes the eyes to strain. This is especially critical for seniors, in which case, according to this study, artificial light can lead to cataracts. Plus, with a sun room, you won’t get a headache hearing the buzzing sound from light fixtures. Don’t worry about it. Place a couple lamps in your solarium. Even if you’re not a natural light person, the solarium at least gives you the option. Which is more than what can be said about normal, one-windowed rooms. Four to six percent of people suffer from seasonal affective disorder (SAD). SAD is a depressive order where sufferers become depressed during a specific season. Most SAD sufferers become depressed during the winter months. This type of depression is attributed to lack of sunlight. It causes symptoms ranging from mood swings, fatigue, and sleeping problems, to anxiety and weight gain (which is due to depression). The good news is that a solarium can ease these symptoms. In fact, professionals recommend making your environment sunnier and brighter. This means opening up blinds and windows. With the solarium, you already accomplish this. Add an L-shaped couch with vibrant color pillows and a blanket. This will make the solarium more personable. This is a cheaper transformation, especially if you’re dealing with a solarium built in the 1950s, which may have flimsy windows and bland floors. Plus, with a library in there, you’ll want to spend hours reading books. And you’ll get more done since sunlight boosts productivity. Now you have a space for before-work yoga sessions. The natural light filtering through the solarium will make those asanas and sun salutations more enjoyable. Overall, a good sunroom will have a positive impact on your health—less eye strain, more vitamin D, and a fresh start to your morning. Want more information about sunrooms? And, while you’re at it. Don’t forget to check out our blog. I really enjoyed how the article mentioned that having a sun room increases exposure to the sun which decreases the chances of having a vitamin d deficiency. I am so busy with work and school, it can be very difficult for me to spend time outside or take the necessary supplements. Having a sun room to relax in at the end of the day would make the chances of being vitamin d deficient very slim.